I have followed the ticket Condition List phase 1, and added to the GSoC Project list. I can see that it was reported by @darius but I couldn’t find any Project Wiki page for this. So Is it possible to have a project wiki page for this project? @ddesimone do you have any specifics that you would love to see on the wiki project page for condition lists? Isn t this the page? Yes, @andu033, @dkayiwa that’s the latest Condition List page. I’m not sure what all a developer would need on that Wiki page to pick up the project, but I do think all the known issues are documented in tickets in that epic referenced by @suthagar23. It’s a little different than other projects since it halfway done. @suthagar23 and @irenyak1 i last checked yesterday and we had not yet submitted our GSoC application. Today being the last day, have we? Yes @dkayiwa we did. please check again to confirm if we did it right. Waiting for feedback. 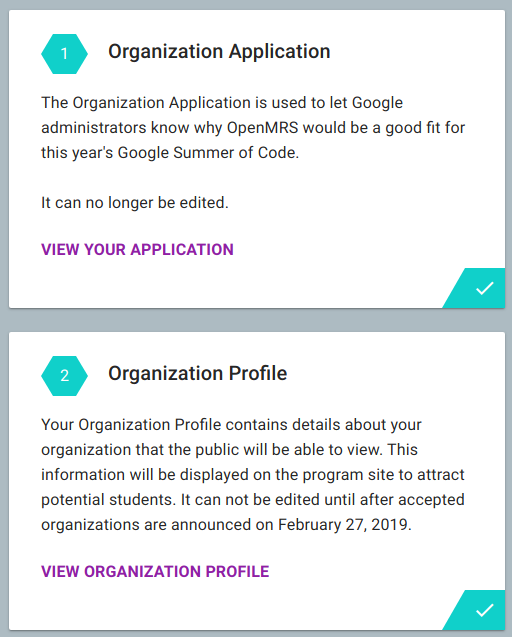 We already completed the GSoC Org application’s work and submitted it on time @dkayiwa . Thanks for the attention here! @suthagar23 and @irenyak1 well done and thanks for the GSoC update.
. Do you know what could be the issue? Thanks @suthagar23. I see what you’re looking for now, but as a non-developer, I don’t think I’m the right person to create this page. Let me know if you need information regarding the broader context around conditions and how they will be used. Hi all- is it too late for me to submit a project idea for this for OCL? I was traveling so missed the target date. We are looking for a ReactJS developer to advance the new OCL Metadata Browser, which will be a far simpler web interface for browsing terminology and indicators that is separate from the current OCL Authoring Interface (at openconceptlab.org) and also separate from the “OCL for OpenMRS” interface being built now by Andela. While the latter two are for managers of terminology, the Metadata Browser is for those who are just referencing terminology by searching, browsing, etc. We have a prototype built (by me, so it’s definitely production worthy ) and we’d like to bring someone on to create a number of custom presentations (e.g. separate list and detailed views for terminology and for indicators) and to make it production-ready. 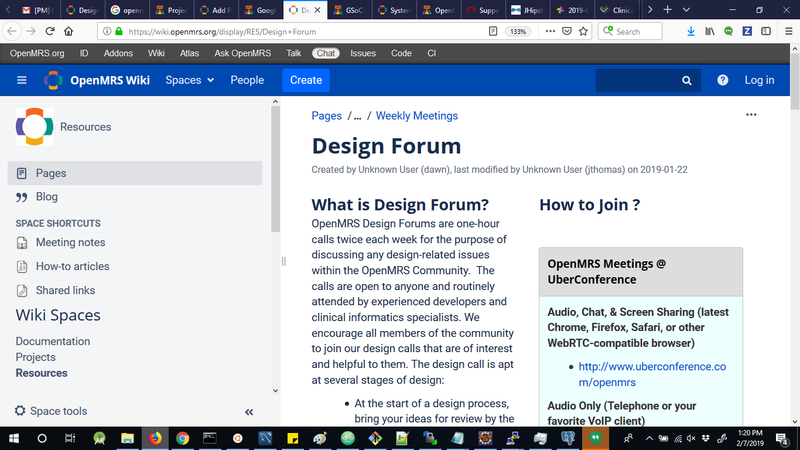 I believe this would be high value to the OpenMRS community as it would also become the primary tool for searching the CIEL dictionary and the CIEL starter set that will be packaged with OpenMRS (if it is not already). Thanks so much for considering this and apologies again for late reply! This could make a good project idea Springify the OpenMRS REST Services. See this talk thread Why @Autowired doesn’t work in REST WS’s REST resource? Hi @paynejd and @ivange94. Glad to have these projects for this year GSoC. Can you make a simple wiki page with the description like this? We can add to the GSoC page as soon as possible once you have a project description. Kind Remainder on this, Since we just have 1 week more. Students may start to explore the projects from the first week of announcement time (Starting from Feb 26). Let me know asap about your new ideas/existing projects for this year GSoC. This sounds interesting to me. Hi all - is it too late for me to register as a mentor or a backup mentor? I would like to propose an enhancement project for our Android client. In its current state, there are bugs when running the app on newer versions of Android, and not enough error messages is shown after each application crash happens. Secondly, the project is using old, deprecated frameworks that should be replaced with its more robust counterpart. 1 example (which I think is one major cause of the recent app crashes) is Active Android to deal with saving data to the local database, and that it should be replaced with Android Room. It will make the code easier to read also. Finally, the Provider module for Android client is also a common discussion topic and I’d like to see this feature implemented in GSoC 2019. I thank @csmuthukuda for creating the Wiki page and I’ll update it as soon as possible to document fixing existing bugs found in the app. I really want to bring back activity on the AC project so I am very excited to mentor this project in GSoC 2019. Again, sorry for the late reply! @f4ww4z @suthagar23 I would really like to contribute to Android Client. I already set up the project on my local machine and I also found an issue that i would like to work upon. I also opened up an issue on the jira platform https://issues.openmrs.org/projects/AC/issues/AC-522?filter=addedrecently. Please excuse the issue format. So can i proceed with the issue? Please guide me about how can i help improve Android Client.